When we think of Star Wars gaming, we don't necessarily think of Arcade games. But Star Wars has had a long history of great arcade titles. 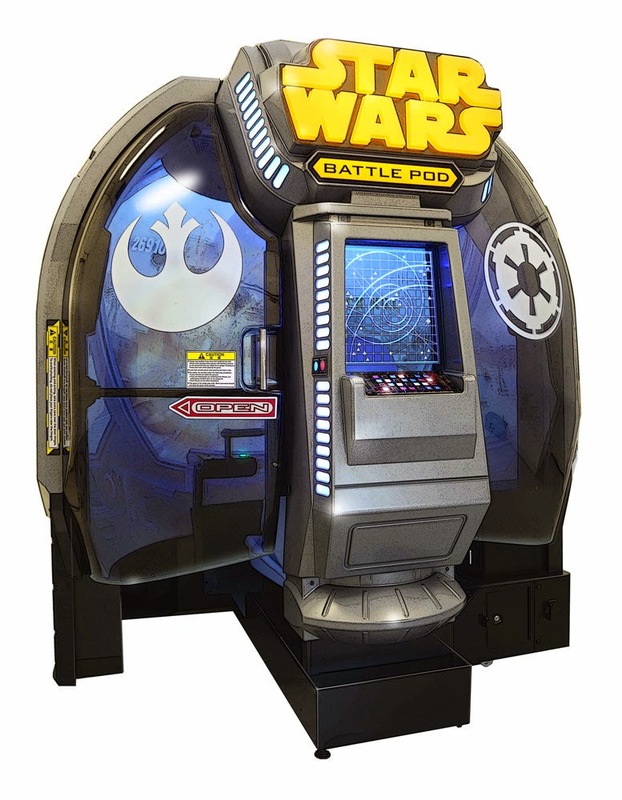 Today StarWars.com announced a new beginning for Star Wars arcade style gaming with the reveal of "Star Wars: Battle Pod". Created by Bandai Namco Games Inc., features exclusive gameplay that can be enjoyed on a large, dome screen. Gameplay includes five stages based on battles from the Original Trilogy which take place in and around iconic locations such as Yavin IV, Hoth, Endor and both Death Stars. Hopping into the fully enclosed cockpit puts in control of the Millennium Falcon, X-Wings, Speeder bikes and more. A special stage in the game titled "Vader's Revenge" will allow you to play as Darth Vader piloting his TIE Advanced fighter as he attempts to destroy a Death Star laser. 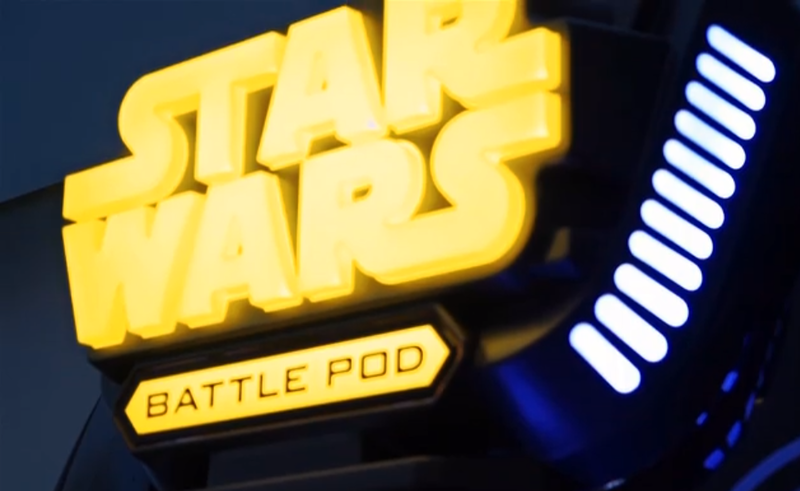 Star Wars: Battle Pod is set for a US launch in January 2015 and a subsequent worldwide release.